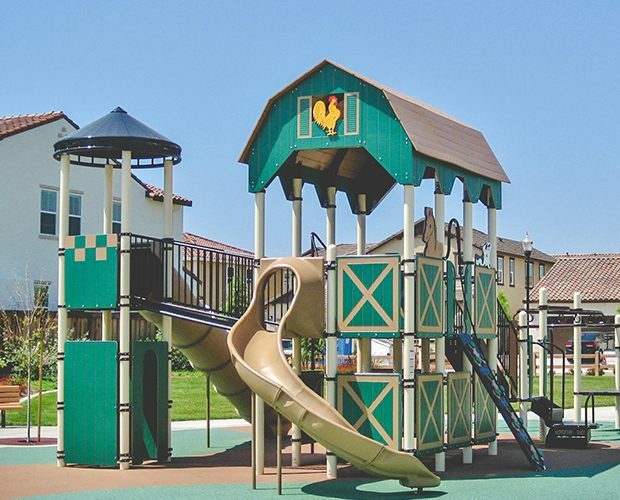 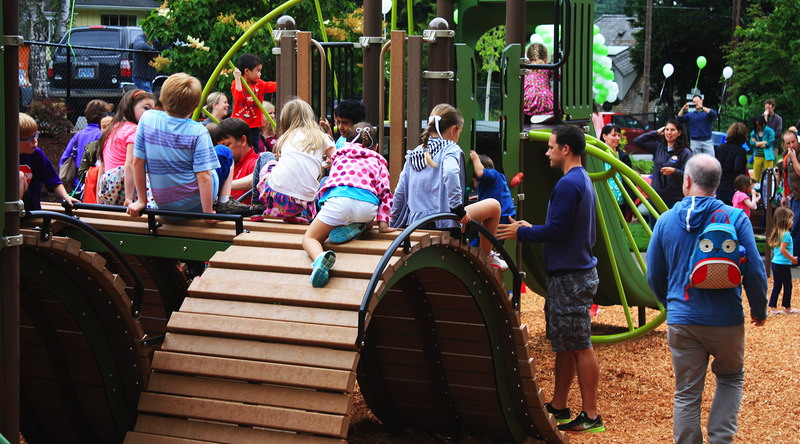 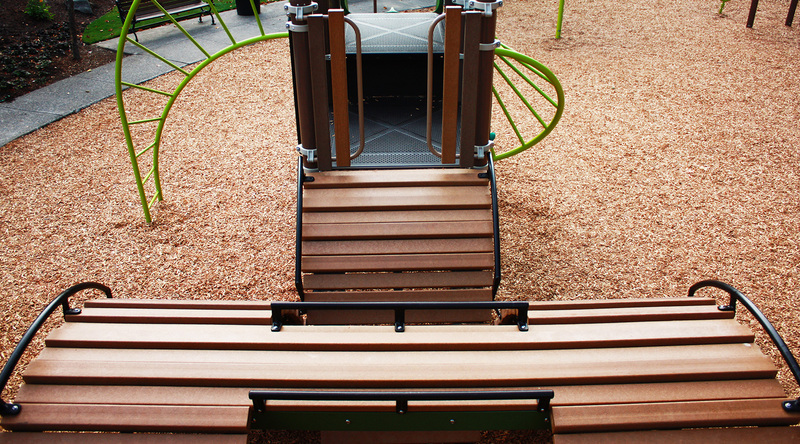 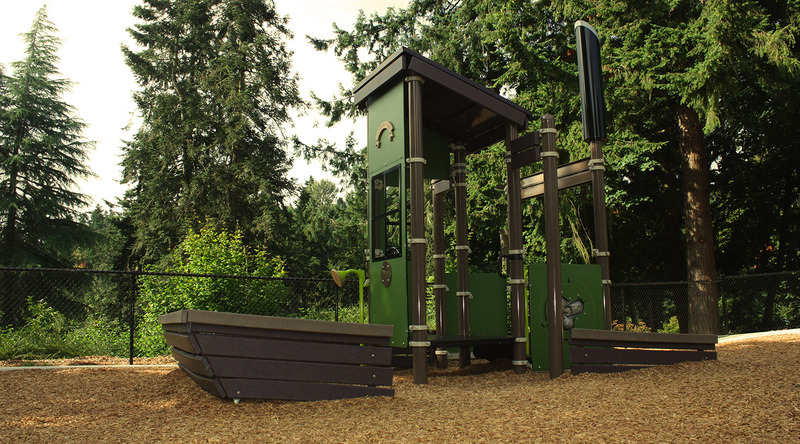 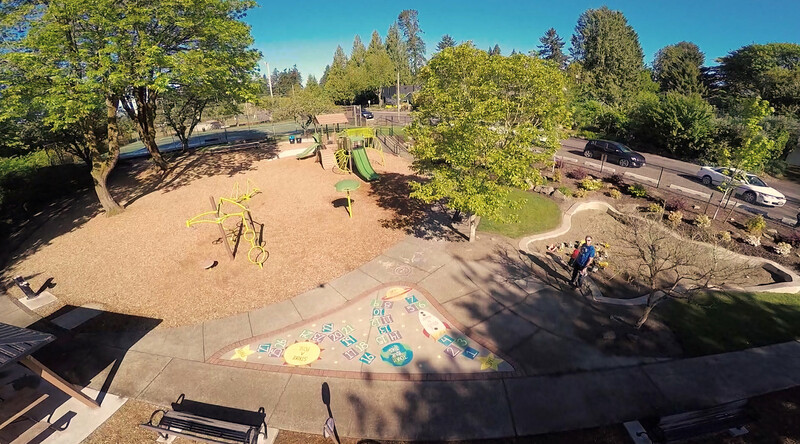 The City of Lake Oswego’s marquee park was revamped to offer larger play spaces and a covered picnic area all while designing around the magnificent, mature trees that help provide the park’s natural setting. 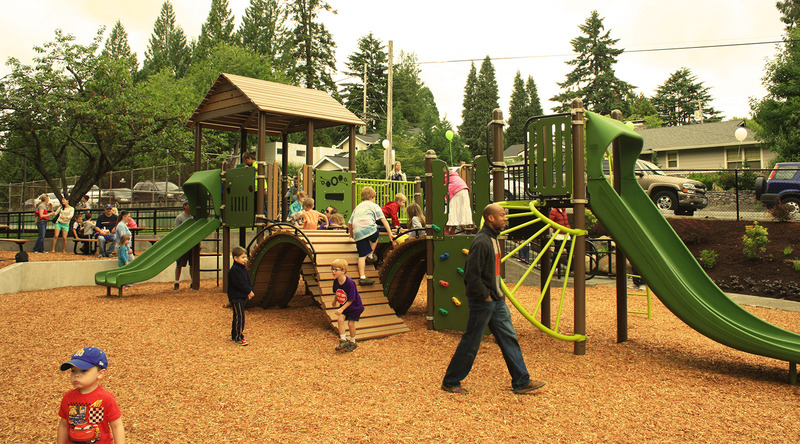 The large, custom roof over the 5-12 age appropriate structure is emblematic of the old, industrial structures that dotted the area during the turn of the century. 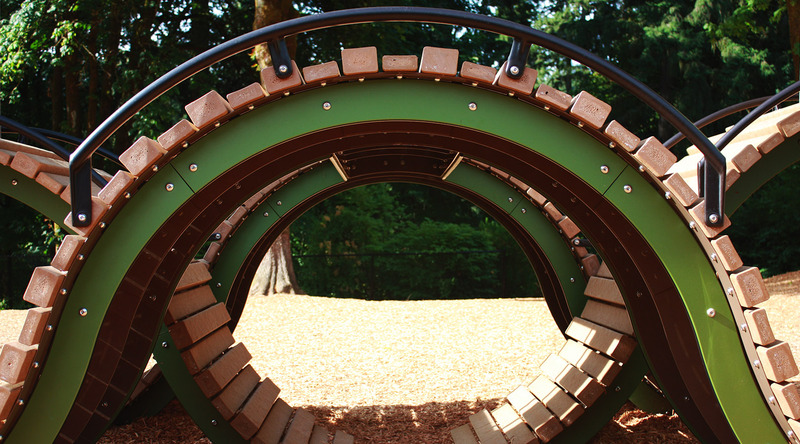 Additionally, with the value the City places on art in its public spaces, Landscape Structures’ Hillscape Climbers were used as a custom, offering a play opportunity that encourages imaginative, unscripted play with its architecturally modern, uniquely shaped whimsical design.